Child Learning Center at Delco Group home. Must have knowledge of early childhood development and ability to nurture and promote positive growth in pre-school age children. AA in Early Childhood Ed. Preferred. Salary $12/hour. Fax resume to LD/CFF 610-328-2807. According to 2009 Census data, women working full-time, year round in every state continued to earn less than their male counterparts. 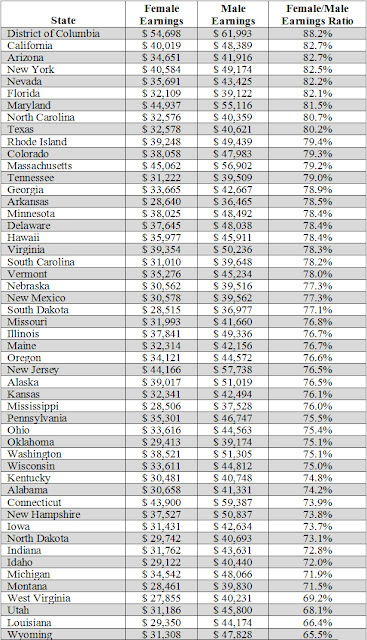 The chart below shows the wage gap state by state. Today more and more families are counting on women’s earnings, as women are half of all U.S. workers. Mothers are the primary breadwinners or co-breadwinners in nearly two-thirds of American families. Unfair pay practices make things even harder for families in this tough economy. In Pennsylvania, women are earning 75.5% of what men earn. The median earning for a man that works full-time year-round is $46,747, where as a woman earns $35,301. That is a difference of $11,446. What can be done? The Paycheck Fairness Act would deter wage discrimination by closing loopholes in the Equal Pay Act and barring retaliation against workers who disclose their wages to coworkers. Take the I am Not Worth less Pledge today and pledge to help pass the Paycheck Fairness Act. The rights of children and young adults in foster care were protected with the passage of two bills by the Pennsylvania legislature. The Children in Foster Care Act and Senate Bill 1360 address obstacles in current foster care and adoption legislation that can keep children and families from enjoying the full benefit of their rights. Please join us on October 26! PathWays PA is pleased to present the First Annual Network for Strategic Asset Building Symposium to offer financial education and asset building in the workplace. This freeSymposium will help you offer your workers strategies and tools to build financial knowledge and resources-at no cost to you! If any of these tools are right for you, PathWays PA will be happy to help you implement them in the workplace without charge. Last week, legislation putting the Industry Partnership program into statute passed out of the Senate with a vote of 40-9. The last step for this important legislation is for it to be voted out of the House without amendment in the next few weeks. Please take a moment to thank your Senator if he or she voted for the bill. Below is a sample letter that you might want to use. We just wanted to take a moment to thank you for voting for Senate Bill 1409, the Industry Partnership legislation. This program gives Pennsylvania the opportunity to increase productivity and competitiveness in our Commonwealth and is highly valued by employers statewide. 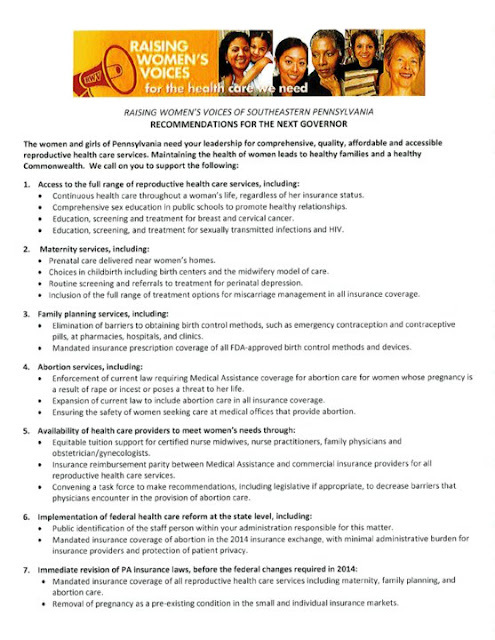 Raising Women’s Voices of Southeastern Pennsylvania, a coalition formed to ensure women’s concerns were address during the health care debate, has just released recommendations for the next Governor of Pennsylvania. The recommendations highlight the reproductive health areas in which women, girls, and families in our Commonwealth need leadership and support on in order to lead healthy lives. For more information about Raising Women's Voices of Southeastern Pennsylvania visit their Facebook page. 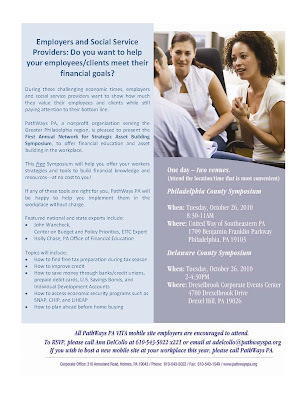 PathWays PA, a nonprofit organization serving the Greater Philadelphia region, is pleased to present the First Annual Network for Strategic Asset Building Symposium, to offer financial education and asset building in the workplace. This free Symposium will help you offer your workers strategies and tools to build financial knowledge and resources-at no cost to you! On Monday October 18, Senator Bob Casey and other dignitaries spoke with students at Philadelphia’s Horace Furness High School to congratulate them on high enrollment in the Children’s Health Insurance Program (CHIP). After a few words from Principal Timothy McKenna on Furness’ increasing achievement and attendance levels and an enthusiastic welcome from Furness High’s cheerleaders, Senator Casey issued a challenge to everyone in the room to promote CHIP among family and friends so that soon every child will have affordable health care. According to Casey, with health care, children can participate fully in activities and sports, be more attentive in school, and get better more quickly when illness or injury arises. How can you help your employees build assets to boost their financial stability during these challenging times? PathWays PA presents the First Annual Network for Strategic Asset Building (NSAB) Symposium on Financial Education & Asset Building in the Workplace on Tuesday, October 26th, 2010. PathWays PA offers an eight week Work Readiness program for young adults between the ages of 18 and 24 who are out of school and looking for an opportunity to earn a salary while receiving on the job training. Once a week each applicant is responsible for attending a skills building class at 310 Amosland Road Holmes Pa, where the applicant will receive educational support in the areas of reading, writing, math and computer skills. Each applicant will have the opportunity to build a professional resume. Class time will also consist of soft skills building and Key Train lessons in preparation for a certificate in Work Keys at the end of the program. PathWays PA will provide counseling and resources for reaching career goals. The cost of transportation is covered by the program. From DMI's Amy Traub: "A Race Between Philly and NYC on Paid Sick Leave?" Yet Philly may be moving faster to address a problem that's pressing in both cities. The Philadelphia Inquirerreports that a hearing on paid sick time is expected in Philadelphia this fall. Meanwhile, in New York, the City Council has held multiple hearings, but it's unclear when the bill will come to the floor for a vote. Councilman William Greenlee, co-sponsor of the Philadelphia bill, offered a sports analogy, insisting that Philadelphia would prove its policy leadership on paid sick time just as the Phillies would surely trounce the Yankees.To read the full article, visit The Huffington Post. WHAT/WHO: PathWays PA, WOMEN'S WAY, Drum Major Institute for Public Policy, and The Coalition for Healthy Families and Workplaces will be holding a public forum to release a new report highlighting the need for paid sick days in Philadelphia. Over 40% of workers in Philadelphia have no earned sick time, while 78% of restaurant and accommodation workers are forced to choose between going to work sick (or sending a child to school sick) and losing a day's pay or possibly their job. There will be a Lobby Training held at 123 S. Broad Street, 8th Floor, Room 8B at 11:00 AM. Food will be provided. The Pennsylvania Association of Regional Food Banks is working with other concerned organizations throughout Pennsylvania to ask Governor Rendell and his successor to recommend adequate funding for the State Food Purchase Program in the next state budget. Read the letters to the Governor and the Governor-elect. If you agree with the letters and that more resources should be provided to help Pennsylvanians struggling with hunger, please click the “Sign-On” box and you will be taken to an email message form. Please include your organization's name, location [municipality], your name, and your title. Please - only one person per organization. You and your organization will be added to the list of signers on both of these letters. Holmes, PA, October 6, 2010 – Five local community leaders have been chosen by PathWays PA to receive its 2010 Trailblazer Award for community service. Receiving the 2010 Trailblazer Award will be Pamela Godwin, leadership consultant and founder of Change Partners, Inc.; Mellanie Lassiter, Corporate Contributions Manager, PECO and Urban League of Phila board member; Linda McAleer, founder of the Melior Group; Joan Meyers Brown, founder of PhilaDanco and the Rt. Rev. Rodney R. Michel, Assisting Bishop of the Episcopal Diocese of Pa.
Can you see yourself luxuriating at a sold-out 2011 Phillies Game in outrageous seats donated by Lincoln Financial with a dozen or so of your closest friends? Perhaps you’d like to kick back with sixteen of your crew in the Boeing Box at the Wells Fargo Center and watch the Flyers defeat the New Jersey Devils? How about a lazy week in the summer of 2011 at Myrtle Beach, SC? All of this can be yours and you can benefit the outstanding work of PathWays PA to reduce poverty in the Greater Philadelphia Region by accessing our website at http://www.pathwayspa.org and bidding on dozens of outstanding auction items by November 8, 2011. This free symposium will be held in two locations. Attend the symposium at the location/time that is most convenient for you! 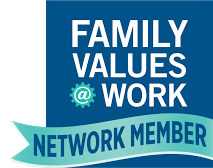 8:30-11:00am at the United Way of Southeastern PA at 1709 Benjamin Franklin Parkway, Philadelphia, PA 19103 or2:00-4:30pm at the Drexelbrook Corporate Events Center at 4700 Drexelbrook Ave, Drexel Hill, PA 19026. ...But elected officials in Harrisburg are sitting on an opportunity to put an extra $273 million in the unemployment compensation pot. HB 2400, whose prime sponsor is Marc J. Gergely, D-Allegheny, would give the commonwealth the opportunity to do that. By modernizing unemployment insurance, Pennsylvania can receive millions from the federal government while supporting unemployed workers and families. The amendment to an act formulated in 1936 would not only bring funding to Pennsylvania, it would ensure that more workers and families who paid into the unemployment insurance system earn their fair share of compensation upon being laid off from their jobs....Please read the whole article, including a quote from Carol Goertzel, President/CEO of PathWays PA.
Patriot-News Op-Ed: "Industry Partnerships provide 21st century training "
As the state Senate comes into the homestretch of a difficult legislative session, it has a chance to take a major step forward for Pennsylvania’s businesses and economy by passing Lancaster County Republican Sen. Mike Brubaker’s Industry Partnership legislation. Pennsylvania’s 70-plus Industry (training) Partnerships tied to key industry clusters in each region are the foundation of a 21st century human capital infrastructure that is becoming a key competitive advantage for the state. At their most basic, Industry Partnerships fix a long-standing flaw in government training programs: They bring businesses together to identify skill gaps and to ensure that training plugs those gaps. This is a vast improvement on a tradition of training by providers without deep ties to employers. As Volunteer Income Tax Assistance (VITA) programs struggle to meet the growing need for their services, legislation has been introduced to help meet that need. Last week Senator Sherrod Brown (D-OH) introduced S. 3865: The VITA Act of 2010. This legislation will authorize the VITA Grant Program at $35 million, greatly strengthening the capacity of VITA programs and their ability to serve working families.